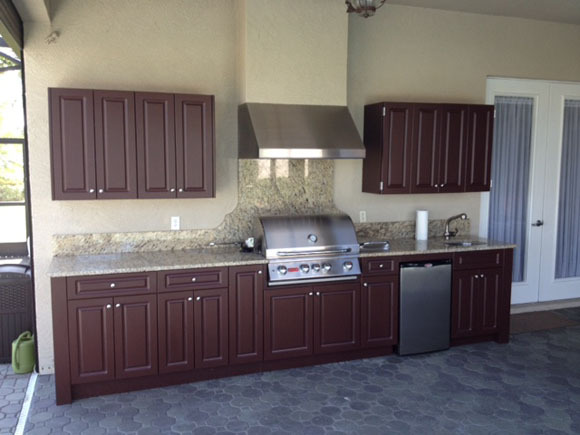 Elite Outdoor Kitchens and Design is a company that creates, designs and installs outdoor cabinets and products that are custom made and manufactured locally here in Sarasota, Florida. We use a premium grade polymer and all 304 Grade Stainless Steel hinges and slides. 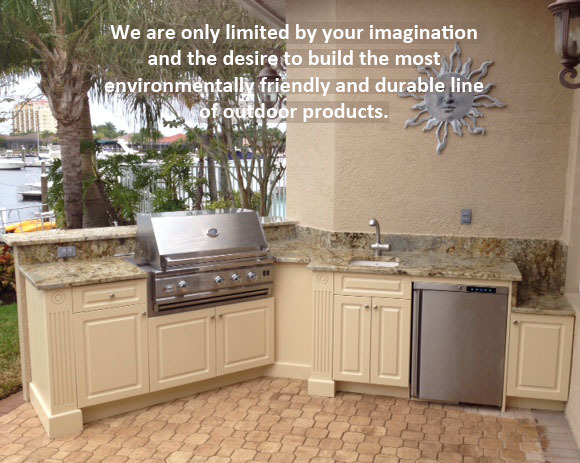 Our kitchens are designed for constant punishment of sun, water and weather in harsh marine environments. Our cabinets won’t rust, rot, warp, or discolor and never needs painted or refinished……..They are built to weather the elements. Elite allows our customer the flexibility to create and design almost anything you can with wood, offering a large number of products such as cabinetry, furniture, tables, planters, and so much more. We have something for every one’s taste and anyone’s budget ….giving you the ultimate experience in outdoor living.